Congress leaders said they have got 45 votes, the magical number required to win the seat, as 43 of their MLAs, one from NCP and one from JDU have voted for the party. 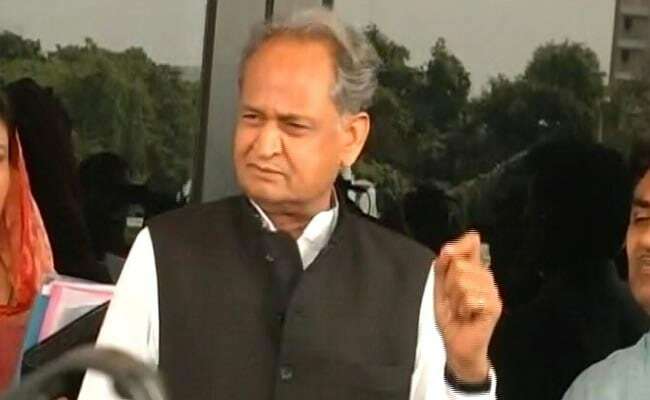 Ahmedabad: Congress' Gujarat in-charge Ashok Gehlot today expressed confidence that senior party leader Ahmed Patel will win comfortably in the Rajya Sabha polls as he has the required numbers. "Out of our 44 MLAs we accept that one of them has cross-voted, but one of National Congress Party and one of Janata Dal United or JDU has given us support," he claimed. "Ahmed Patel will win as we have the numbers," Mr Gehlot told reporters. The Congress has 51 MLAs in the House after six legislators resigned following a rebellion by senior party leader Shankarsinh Vaghela. Out of the 51 MLAs, seven of Mr Vaghela group (including Vaghela) had not gone to Bengaluru but the rest 44 had gone. Technically, these seven MLAs are still with the Congress, including, Mr Vaghela as he has not resigned as MLA. Mr Gehlot accepted that all the seven MLAs of Mr Vaghela group, including Raghavji Patel and Dharmedrasinh Jadeja, have cross-voted. "However, out of 44 votes of our MLAs that we had expected to get, only one MLA has cross-voted and we have got two more votes," he claimed. Mr Gehlot made the statement after voting by all the Congress, NCP and JDU MLA got over. Officially, the counting of votes will be held at 5 pm.